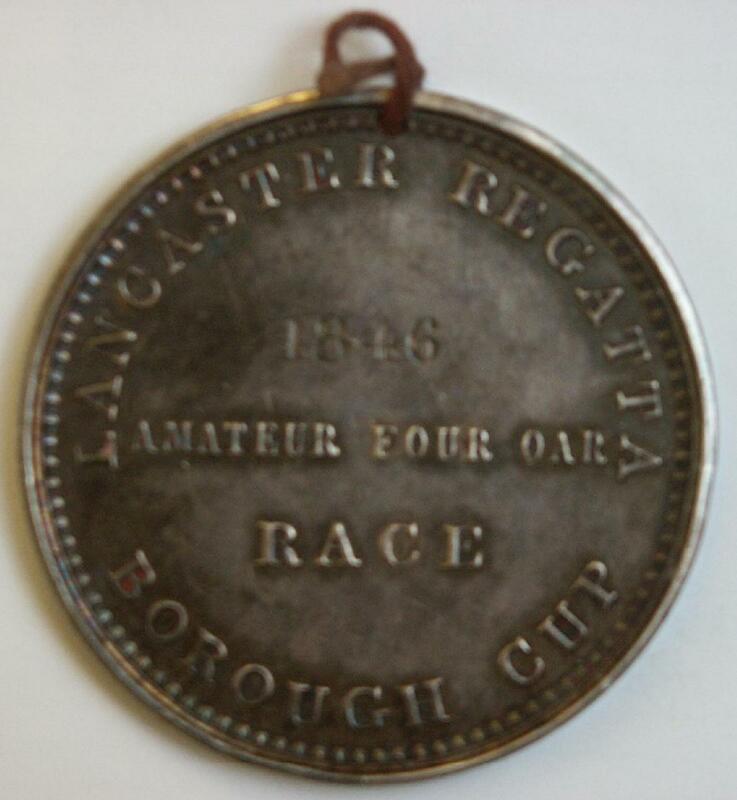 Lancaster Regatta medal of 1846. Part of the Thomas E. Weil Collection. Thomas E Weil is a very knowledgeable and respected collector of rowing memorabilia from all over the world. His extensive collection includes material from many years of the Oxford and Cambridge University Boat Race, and Henley Royal Regatta. He also lectures and writes on rowing history and is a Trustee of the River and Rowing Museum. The gift of Thomas E Weil, given in honor of the Arbib family.